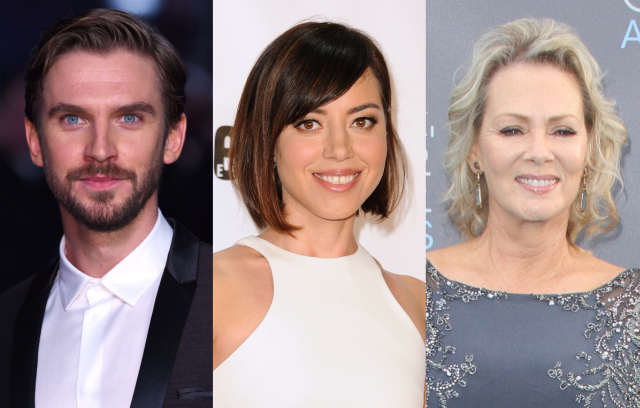 FX has announced today that Dan Stevens (The Guest), Aubrey Plaza (“Parks and Rec”) and Jean Smart (“Fargo”) have joined the cast of their new pilot, a spin-off of the popular X-Men franchise. Aubrey Plaza joins as Lenny, David’s friend, who despite a life of drugs and alcohol abuse, knows that any day now her life is gonna turn around, which gives Lenny the likeable energy of the impossible optimist despite her rough demeanor. Jean Smart will play Melanie, a nurturing, demanding therapist with a sharp mind and unconventional methods. The three join Rachel Keller as Syd. Self-sufficient and street smart, Syd uses her sharp and prickly demeanor to protect her soft core, because even though it makes her a sucker and puts her at risk, she still believes in happily ever after. Hawley (“Fargo,” “Bones”) will write the Legion pilot and serve as an Executive Producer along with Lauren Shuler Donner (X-Men: Days of Future Past, The Wolverine), Bryan Singer (X-Men: Days of Future Past, Superman Returns), Simon Kinberg (X-Men: Days of Future Past, The Martain), Jeph Loeb (“Marvel’s Agents of S.H.I.E.L.D.,” “Marvel’s Daredevil”), Jim Chory (“Marvel’s Agents of S.H.I.E.L.D.,” “Marvel’s Daredevil”) and John Cameron (Fargo, The Big Lebowski). The pilot for Legion will be produced by FX Productions and Marvel Television, with FXP handling the physical production.